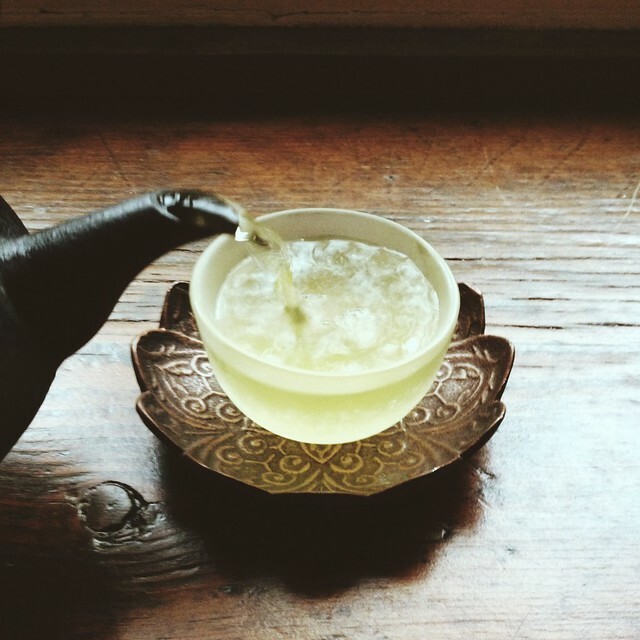 the tea conjurer: kuma green 1228 from mellow monk. The folks over at Mellow Monk were excited to inform me of a new tea being added to their fine selection. Mr. Watanabe is an award-winning artisan who is dedicated to the quality of his tea, and Kuma Green 1228 refers to the location of his tea estate. 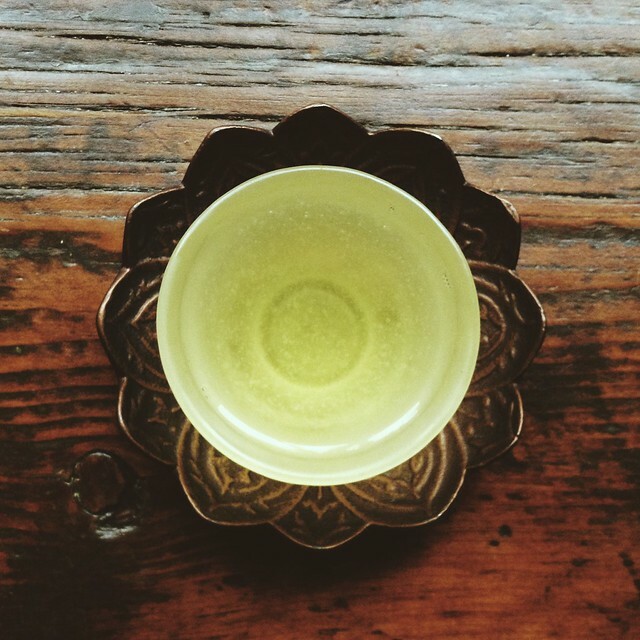 This new tea is a guricha-style sencha. It should be brewed at 167°F for two minutes. The dry leaves are tiny and emerald green with some lighter tips scattered throughout. The aroma before brewing is a slightly bitter vegetal scent, and reminds me of cut grass in the summer. Use a wide strainer in order to give the small dry leaves room to unfurl. You'll be amazed at how they expand while steeping! The bitter aroma softens once brewed, and takes on a whole new identity once you take your initial sip. The first flavor on the tongue is surprisingly sweet. 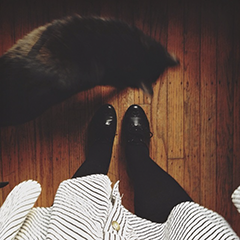 Like sugar has been added! Fortunately for us the tea carries that refreshing sweetness naturally! I marveled over that for some time, as I've never had a tea tasting start out like that. A light citrus note comes into play afterward that lingers on the palate and reminds me of a sugared lemon candy -- followed by that I get a taste of jasmine on the back of the tongue. It is a very gentle and light cup. It makes me think of a springtime afternoon just as winter lets go ...timid greens and flowers springing up once the snow melts. 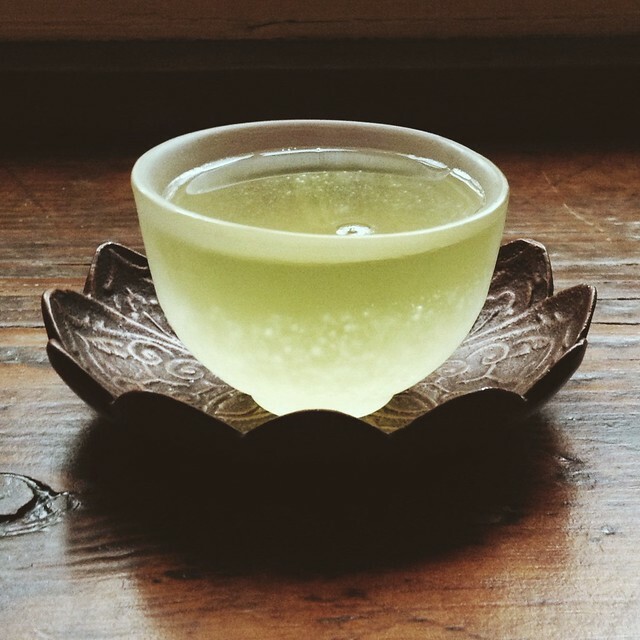 The cup brews an incredible peridot color, and is marvelous to look at in a glass teacup. This is one of my new favorite green teas, although its hard to choose when it comes to mellow monk. I love your frosted glass teacup! I´ve never been fan number one of green tea, but I should give a chance to this one anfter reading your review. Colour, scent and flavour look amazing, and the sweet undertones are something quite unusual for green variety, as you said. Please share the details on that teacup. I don't suppose it came with the saucer? I tried four teas from that store Monk's Choice, Top Leaf, Kuma Green 1228 and Crimson Groove. From the three green teas I bought, Kuma Green has highest price, and I like it less than three other. Looks like it was steamed little longer than usual, as a result: bitter taste, tea has many small particles, and it looks muddy when brewed. Tea leaf after brewing does not look as a tea leaf from high quality sencha, it does not spread wide, but crushed into many small pieces, which is due to longer steaming process, however, tea taste is natural and it does not contain matcha, which sometimes added to fortify taste and colour. Tea itself, does have stronger bitter aftertaste, and quite astrigent. It is not easy to brew it right, and it became bitter very fast if You oversteep it. Interesting that second steep tastes better than first. BTW, good dea, but I think it is overpriced. For $18 You may find better tea in internet, even at MellowMonk store.